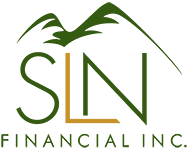 February 24, 2016 - 3 Things to Know About Medigap Insurance | SLN Financial, Inc. If you’re looking ahead at retirement, you might wonder what role “Medigap” supplemental insurance policies play in Medicare coverage. Medicare has four parts that, used together, offer coverage for most medical care you might need in retirement, barring some important exceptions like long-term care. Part A is for hospitalization, Part B is for outpatient services, Part D is for prescription drugs, and Part C is for private Medicare Advantage plans designed to be equivalent to Parts A and B.
Medigap insurance is used to cap the out-of-pocket costs you may face with Part A and Part B insurance. Policies cover copayments, deductibles, and coinsurance for outpatient services and hospital stays, which can get expensive. Policies sold after January 1, 2006 do not cover prescription drugs and they typically do not cover services like long-term care, vision or dental care, hearing aids, eyeglasses, or private nursing. Policies and premiums will vary by age, region, and the amount of coverage offered. To make comparisons between policies easier, benefits are standardized across alphabetical levels in most states, and range from the most basic “A” policy to more comprehensive policies. Each level offers certain core benefits and a range of increasingly comprehensive benefits like emergency treatment overseas or the full copay associated with certain services. The more comprehensive the coverage, the higher the premium you will pay for your Medigap policy. To be able to buy a supplemental Medigap insurance policy you typically must already have Medicare Part A and Part B. If you purchase a Medigap policy, you will pay premiums in addition to what you pay for Medicare Part B. It’s usually best to buy a Medigap policy during the open enrollment period when you sign up for Part B. If you purchase a policy outside an enrollment window, you may be denied coverage or pay higher premiums. If you are enrolled in Part C Medicare Advantage, you do not need a Medigap policy. Medicare Advantage plans are private insurance policies managed by Medicare that are designed to be alternatives to traditional Medicare. Some Part C policies offer coverage that is more comprehensive than what you get in Part A and Part B alone, thus eliminating many of the gaps that Medigap policies would cover. Medigap policies are generally best for retirees who would rather pay premiums each month instead of worrying about high out-of-pocket expenses. As with all types of insurance, it can pay to shop around and compare policies. A qualified insurance expert can help you understand the ins and outs of Medicare and help you choose an insurance strategy that fits your needs. If you have any questions about medical care in retirement, please contact our office.